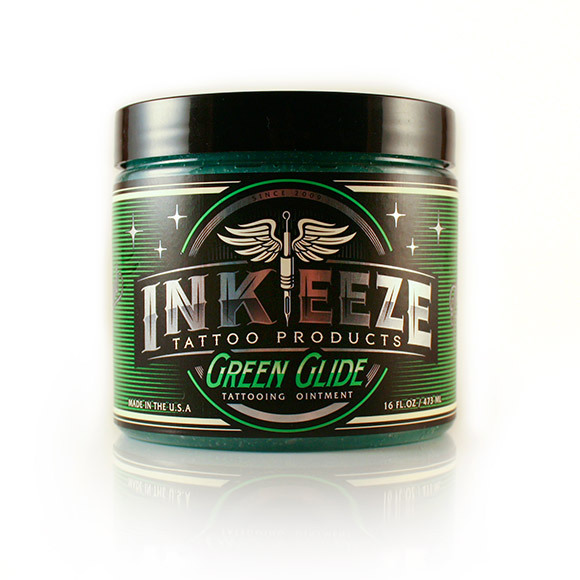 Professional Tattooing Ointment - JESSE JAYMES TATTOO CO. We have some of the best tattoo supplies for good prices. It is formulated with lavender, licorice, green tea and pomegranate extract, used together to help soothe the skin and create a moisture barrier. It will last longer than regular A&D. Example: A 4x4 sized tattoo will use about the size of a choclate chip.